It's been a long time since my last newsletter. In part, it's because I've had my head down working hard. In part it's because it's been summertime, and I've been out and about enjoying sun and sand. But I've got some good news to share! 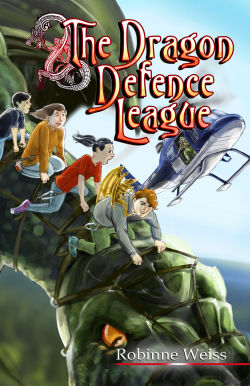 The Dragon Defence League Available for Preorder! The Dragon Defence League, book 3 in the Dragon Slayer series, is scheduled for release on April 15. Preorder the Kindle version now and be the first to read it! 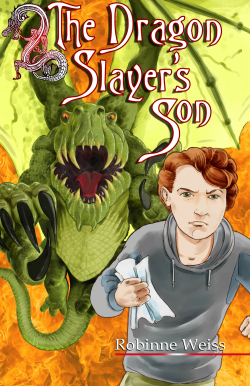 To celebrate the upcoming release of The Dragon Defence League, The Dragon Slayer's Son is on sale through the end of April! I'm pleased to announce the release of the dyslexia-friendly edition of The Ipswich Witch. 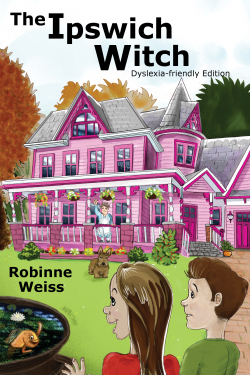 With larger line spacing, an easy-to-read font, and cream coloured paper, this edition improves reading ease for kids who struggle with dyslexia. Pearl and Otto lose their parents and find a family as they help a wayward witch gain control of her magic. You'll love this fun adventure for kids! There are so many great books by Kiwi authors. 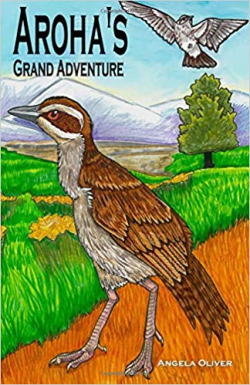 If you're looking for a fun read for ages 7 and up, check out Aroha's Grand Adventure. Like all weka, Aroha is curious and smart. When her tastebuds lead her into trouble, she finds herself snatched from her peaceful home in Grey and carried across the countryside. Alone in this strange new place, what is one young weka to do? Follow her instincts and find her way home, of course. Her journey takes her through farmland and swamp, across rivers and over mountains. Many dangers and other challenges face her but with courage and determination, one weka can go a long way. It's not too late to enter my sand dragon competition! 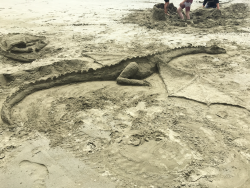 Go to the beach, make a sand dragon, and send in a photo of it for your chance to win one of my books. Details are on my website. Competition ends March 31st.